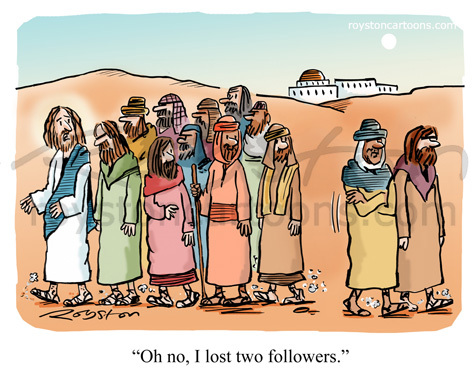 "Oh no, I lost two followers." 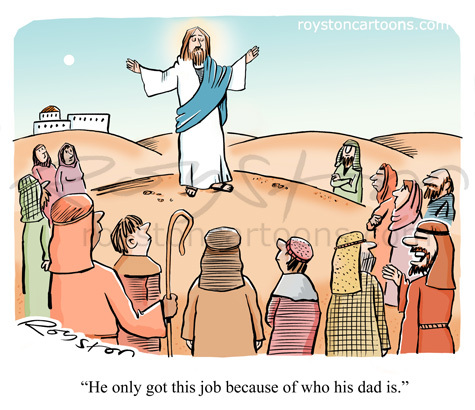 As it's Easter this weekend, here's a cartoon about Jesus, which can be seen in the current issue of Prospect. I used a similar colour palette to the cartoon below, which was in the same magazine in 2011.